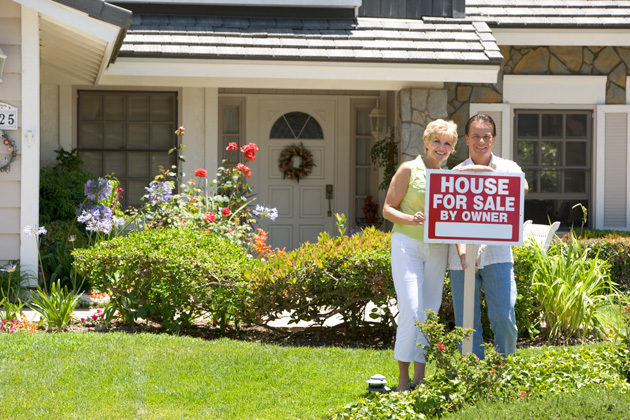 The process of selling a house will often involve the subsequent purchase of a house. The simultaneous nature of these transactions may seem to make an otherwise exciting venture one which is in fact burdensome and stressful. Sydney Conveyancing is here to restore your excitement, removing any complications and stress through our seamless and professional conveyancing services. If you are looking to purchase another property upon the sale of your current property, it may interest you to read also our buying guide to gain an understanding of the process. The first step in selling your home is ensure that your house is market-ready so as to welcoming and appealing to a potential buyer. Indeed, as a buyer enters your home they should feel comfortable and be able to visualise themselves living in it. If your house has many photographs and family heirlooms, place into storage many of these as is possible so as not to distract the potential buyers from being able to visualise themselves living in the property. Move out unwanted clutter and keep the property as clean and tidy as possible. Many potential buyers will open and inspect cabinets and closets in order to check whether the spaces will be sufficient to serve their purposes. Therefore, the more elegant and the brighter the space within your home appears, the better! Fix the minor defects in your property such as cracked wales and tiles or leaking taps, however do not engage in larger overhauls of your property as this may be seen to indicate that you are concerned about the structural integrity and condition of your house. Do some landscape work to give look and feel effect to the buyer. This may include gardening. If you have space outside your home, do some gardening, because outside of a home is as essential as inside of a home to buyers. Anything you do to please the eyes of the buyer will lead to higher price and faster sale. Conduct the building and pest inspection in advance so that when the buyer arranges to conduct these in the cooling-off period they will be impressed and take note of the care and dedication you show toward the property you are selling. Sydney Conveyancing can easily assist you with these matters. The second step in selling your home is to contact an expert real estate agent. We recommend that you consult with at least two separate agents, asking them to explain their plan regarding the sale of your property and to give you a comparative market analysis for your home with regard to the trends and prices in the area. It is always better to have choices before you can select the best agent to represent your home to potential buyers. Once you have selected the real estate agent, they will place your home on the market and start dealing with the prospective buyers, leaving you free to concentrate on searching for a new home. The next step in selling your home is to contact your present lender to check how much you still owe on the property. Properties will often have a higher resale price because of the rise of property values and the time spent on the dwelling. From this you will be able to estimate how much must still be paid to clear your existing loan and how much you will therefore have available for the purchase of your new home, as well as how much money you will be required to borrow in order to finance the your purchase. If you do not already have a financial entity with which you have a strong relationship, please consider coming in to meet with the established Mortgage Brokers of the Loan Institute of Australia for a free consultation and assessment. Generally there will be a ‘Cooling-off Period’ prior to the contract of sale becoming binding on the parties, during which the buyer will finalise their finances and conduct the building and home inspections while you, the seller, use this time to search for and purchase your new home. Once the buyer produces to you a letter of pre-approval from their financial institution you can go forth confidently and begin to pack your possessions in preparation for the agreed settlement date.